You do a great job for your clients. You really do. You find them the best solutions they need. You work hard. Yet when it comes to establishing a presence on your website that screams “I’m trustworthy,” you’re lagging behind. What is it about your business that doesn’t illicit the comments, reviews, and testimonials you need to move forward? And why are reviews and testimonials so critical to showing your potential new clients that you can do a great job for them? It’s simple: it comes down to identifying the best strategies to get great client reviews and testimonials. And just like any other aspect of your business, it takes a little bit of work and know-how to get started. As you might have read in The Mortgage Marketing Manifesto, some 90% of consumers read online reviews before visiting a business. But want to know the really surprising statistic? 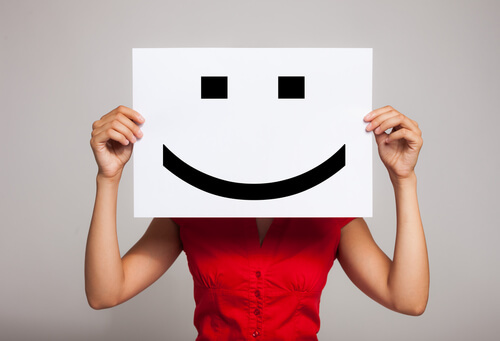 Some 88% of consumers trust online reviews…as much as personal recommendations. That’s right: when you finally get great client reviews on your site, your new potential clients will value those reviews just as much they would their friends’. In other words, these reviews are important. …serve as a “trust indicator” that builds a relationship with your potential clients. …demonstrate that the claims you’re making are true, lending further credibility to your copy. …enhance the perception of your brand. That means every single client testimonial you use is like rocket fuel for your web presence. Rather than ignore it, let’s look at some ways you can incorporate these elements into your own marketing plan. You aren’t going to win any great client testimonials unless you deliver stellar services. I know, I know. You’re already on the ball with that. When you do win clients, you treat them well. Simply put, if you’re not requesting testimonials, no wonder you don’t have any to share. Think about it: even if your client is really happy with your services, who are they going to tell? They aren’t necessarily going to visit your website, fill out a contact form, and hope that anything comes of it. More than likely, they’ll keep it to themselves. Maybe they’ll tell friends on social media, or fill out an online review site. But if you make it a regular habit to ask satisfied clients for testimonials—even if it’s simply to ask for it on your newsletter—you’ll find out there are plenty of people who would be more than willing to help out. It doesn’t have to be anything fancy. Heck, it doesn’t even have to be anything that well-written. Remember: all that’s essential here is the inherent social proof brought about by the testimonial. You need a real name, a real picture, a real person. And your potential clients need to know that you did a great job for them. That’s the case with your online presence. Nothing will come of it until you put something into it. If that means asking a few clients for testimonials, great. It’s the essential first step. Most people are willing to help you out to benefit your web presence. But when it comes to your social media presence, you might have to incentivize them. For sites like Yelp, Google+, Facebook, and TrustPilot, some clients will have to go out of their way to write up a positive review for you. That’s why you can—and should—incentivize customers to post about you on these sites. Since our focus today is on great client reviews and testimonials for your own site, I won’t spend too much time here. In fact, you’ll want to be cautious with some sites—like Zillow—which can siphon business away from you. Once you have a few testimonials in your back pocket, the next question is simple: where do you show them off? There are endless options here. You can put them on your home page, your about page, your contact us page—all of the above. You don’t want to overwhelm your web users, though, so it’s best to keep it a bit limited. For example, include one or two on the main page and then even more on the “About” page. Because that’s where potential clients are likely to click if they want to trust you more. They might be interested in your services—after all, they’re at your site. But they don’t quite know you yet. That’s why they’re clicking on your about page. They want to get to know you. That’s the ideal time to show off your trustworthiness. One key element to remember: you don’t want this to be a dead end. You don’t want potential clients to click on your “About” page…then have nothing else to do. That’s why you should take care to incorporate the next step as well. Finally, you’ll want to make sure that your testimonials aren’t just another badge on your site. It’s great to use them as a trust element, sure. And it’s important to have them there. But don’t forget that someone on your site looking to trust your services will also be interested in the next step. That’s why it’s such an important idea to include a call-to-action at the end. …a link at the bottom of the page guiding people to a lead magnet. …a CTA button for checking out your mortgage or insurance quote tools. …a sign-up box for your newsletter. It’s important that you include the step forward here, otherwise they may just read the kudos and bail because of inadequate CTA messaging. After all, the trust element is one of the places where the conversion is often made. Someone in your target audience might already be pre-qualified. They might be interested in what you have to offer. They might even be ready to contact you. But sometimes, it takes just that last bit of trust for them to make the split decision and reach out to you. That’s why it’s important to remember client testimonials in their proper context. They’re another way to push your funnel with your clients forward. 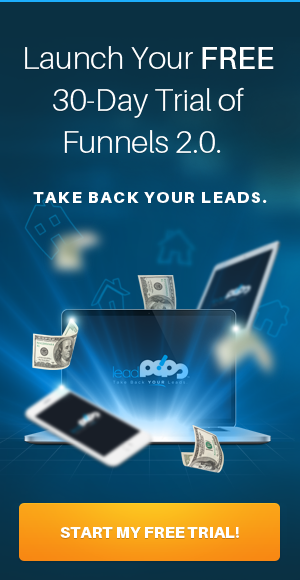 They’re another way to make your website and landing pages into a lead-generation machine. Remember, client reviews on sites like Zillow can siphon away business. But when you set up your web presence correctly, you can use every element to enhance trust and send your potential leads to the conversion process – one that YOU control. Want even more ways to boost your web presence? 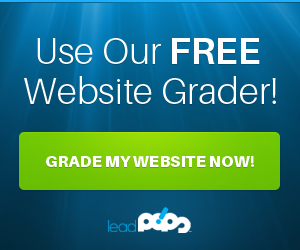 Sign up for a free trial of leadPops if you want to take your mortgage or insurance marketing to the next level.